The Putin Trump talks seemed a meltdown. Trump was being Trump, tried to find the positive, move in his typical rapid-fire way to try to ease tensions between the two nations, it seems the talks were successful, but the left and the Deep State players on both sides of the Isle went into a meltdown, nothing short of a declaration of war was going to be good enough for them. The tensions between the two nations are worse then they have ever been in the last 100 years, rather than try to slow things down, the media, the left, and the deep state GOP members rather than tone down and try to find a way to relax the tension have called for things to get much worse. I am beginning to wonder, do they actually want a war that would cost us hundreds of billions in material, cost us more lives than any war to this point and could put us at the brink or even see the use of nuclear warheads introduced? What is more, while they concentrate on Putin, whose military is a shadow of what it once was, but still is most likely the 2nd most powerful in the world, they ignore, in fact, aid China by ignoring their encroachment, and make excuses for radical Islam, something that if it takes off, and it hasn’t yet, could be more a threat to us and the world then Russia and China combined. What is more surprising, we saw in the last administration Clinton give a reset button to Putin and Russia; they had interfered before this in the US elections, have for years done this, no one demanded or said handing a reset button to Russia was treason or selling this nation out. When Obama was caught on an open mic promising Putin’s emissary that when the election of 2012 was done, he would have more flexibility to work with Putin because he was not seeking reelection, not a word came from the mainstream press, there wasn’t a peep on this from them. What we have now though, this is nothing short of treason by some, just more idiocy from others. The same congressman who called Strzok a person worthy of a purple hear, thus insulting every person who has ever owned one, they did not receive such an award for lying to the American people, and working to create a soft coup against the President, they received one for wounds received while fighting for this nation. This is nothing but treason, calling for our military to remove Trump is way overstepping the bounds, I would hope the FBI is investigating this waste of humanity right after he made such a treason remark. Funny how quickly the left and the press forget they covered for this, yet Trump won, they came out then claimed what was done was proof of what Obama said was impossible. We have to wonder, why are both sides so quick to demand a confrontation and possible war? Further, while no fan of the election meddling, it seems rather hypocritical to condemn others for doing exactly what we have done. The US has for years done this same thing, but the left acting like a bully is crying that someone dared to not play their game, and did the same thing we are doing. Here is the reality of the situation that Trump has on his hands. First, the subpoena of Russian GRU operatives. It seems the left and the press have forgotten under US law, all are assumed innocent until proven guilty, but the press and many in Washington have already condemned and are demanding a sentence before their day in court. Second, if Putin is openly lying, do you stop there and walk out? Of course not, we all know during the 2nd world war, we worked with Stalin, all he did was lie and test our military, had spies in the intel community to keep an eye on us. Sometimes to get things done, you have to work with an enemy, if Putin is going to lie, what do we have to gain by yelling and threatening him? Third, political diplomacy demands we deal with tyrants and strongmen, if they wish to allow us in, to sever the relationship to confront them, how can any good come from this, you ignore this, for now, get a deal worked out you can deal with this issue main issue at a later date. 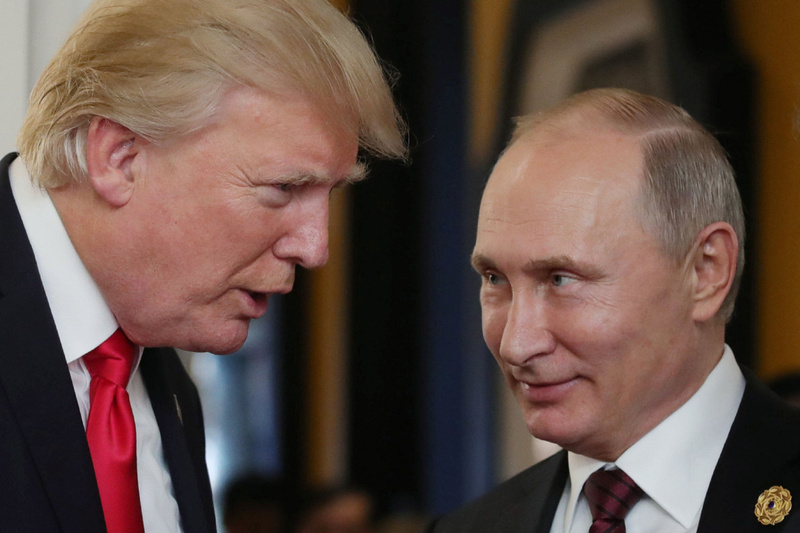 I think Trump is handling this well, much better then has done in the past, there is no political structuring here from him, he sees making a deal, to start what is hopefully the first of many, at this time if Putin will not admit to this, then off to the next subject, Trump can always return to this at a later time. PreviousCartel Violence Coming To America, Extreme Vetting Needed!